. 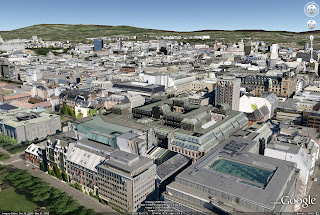 Like other major cities these 3D models are predominantly autogenerated, yet they also contain a number of Google SketchUp models generated by the user community. While the autogenerated models are good quality, user-generated models are often better because ground-based photos can produce a higher quality model than ones generated using aerial imagery. These new cities join other major European cities viewable in 3D, including Munich, Hamburg, Berlin and Zurich to name a few. If you've never visited these cities in-person, have some fun flying around and exploring them virtually. 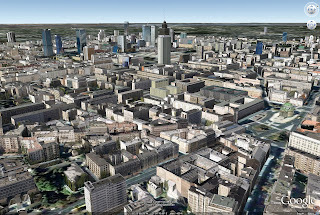 Warsaw, Prague and Oslo have joined the growing list of phototextured cities in the 3D Buildings layer of Google Earth. Like other major cities these 3D models are predominantly autogenerated, yet they also contain a number of Google SketchUp models generated by the user community. While the autogenerated models are good quality, user-generated models are often better because ground-based photos can produce a higher quality model than ones generated using aerial imagery.